You’ll never want to get up after you sit on the Howard Bar Stool. The generous padding and soft faux leather seat and back offer a superior level of comfort that allows for hours of sitting and a footrest adds even more comfort. You won’t just be comfortable though; you’ll also look great. 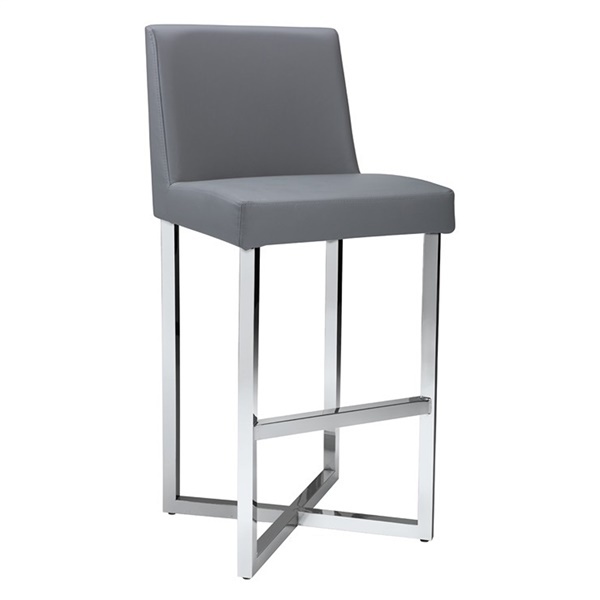 The high shine of the polished stainless steel base perfectly accents the Howard Bar Stool, creating an authentic look that will be in style as long as you’re sitting on it.